NemesisV: Nenshin! Gattai! GO AQUARION! Another mecha anime surface about 1 year ago. 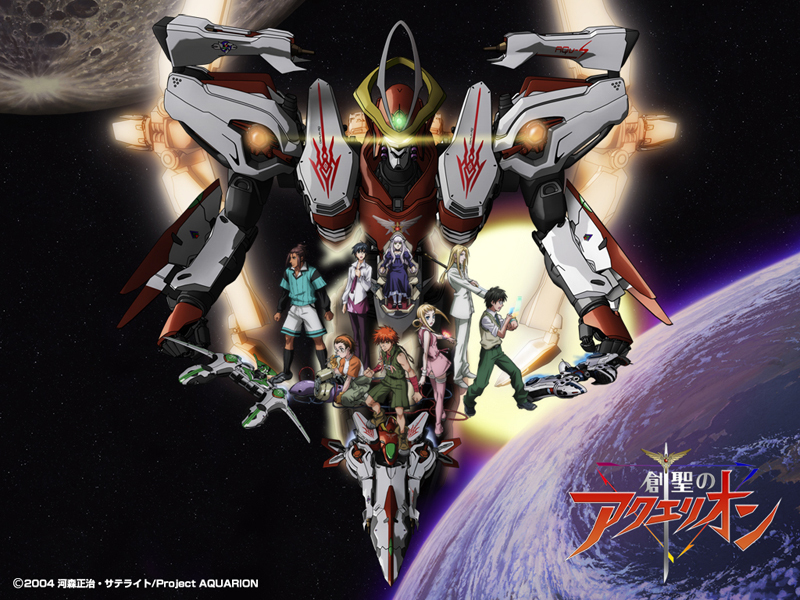 Sousei no Aquarion. Finally got to start watching it.. Till 5 episodes now. Aquarion has elements of Getta Robo, Evangelion etc in them. Its about young teenagers with the power of the "elements" piloting the ultimate weapon of the human race, Aquarion against the fallen angels in the apocalypse world. The 3 fighter jets can merge in different configuration giving to different mech, Solar, Mars etc and of course, the ultimate Genesis Aquarion. it's not nenshin it's Henshin!!!!!!!!!!!!!!!!!!!!!!!!!!!!!!!!!!!!!!!!!!!!!!!!!!!!!!!!!!!!!!!!!!!!!!!!! !